Here is a great clinic I want to share with not just backpackers and travelers who may come to Roatan, but with all people who like to see or support good deeds. 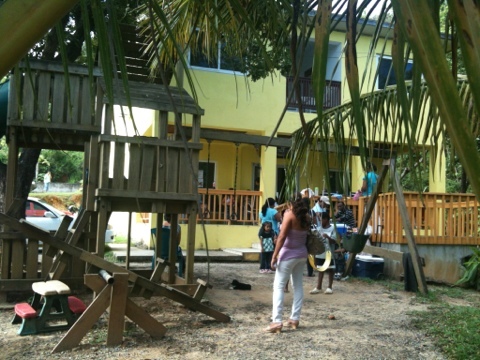 Clinica Esperanza – an excellent project doing much good in Sandy Bay on Roatan. You can read all about it on their site, ClinicaEsperanza.com but first I must add my own personal kudos to them. I have been there and seem the excellent way they treat their patients. There is even a great play set to entertain the children as they wait as you can see in this photo of the clinic. Play things like this are not at all common for the people of Roatan. 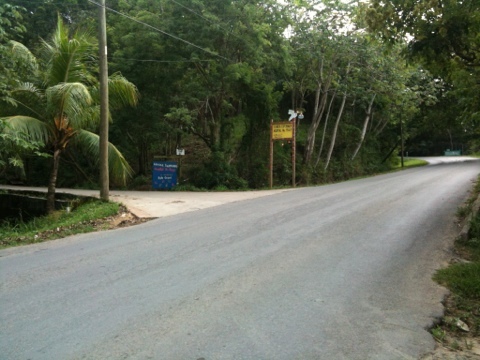 Here is a photo taken on the main road so you know what to look for. The clinic is a short way up the hill so you need to watch for the sign. This photo is the view as you travel toward the West End.